While IBM Cognos comes in various shapes and sizes depending on the needs and size of the organization, in reality the BI and analytics platform is best suited to large corporations – other, and possibly better options exist for many other businesses. One only has to consider the modules offered under the Cognos umbrella to see that it is best suited to the admin oriented focus of relatively slowly growing large corporations. Disclosure Management, planning, budgeting, forecasting, analysis and scorecarding are all heavily featured in addition to performance management and more traditional BI functions. For businesses that need this level of admin support there probably are no real alternatives, but for the rest of us there are much more nimble, lightweight offerings to be found. Here are four alternatives often compared with Cognos. MicroStrategy pretty well does everything when it comes to BI and analytics. Data visualization and exploration compares well with best of breed, scorecards and dashboards are feature rich and easy to use, the reporting capability is extensive and, somewhat uniquely for a BI platform, MicroStrategy supports the implementation of data mining models. This does not however mean that MicroStrategy supports the building of such models, because in the main it doesn’t. It offers it’s BI capability through the cloud, if users want to avoid buying in-house infrastructure, and its support for mobile analytics and BI is probably the best in the industry. 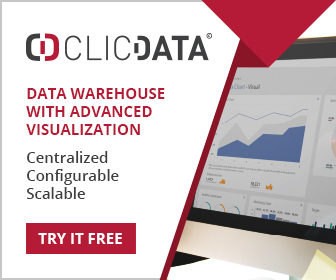 This is a good option for organizations wanting a mature, contemporary BI and analytics platform without too much bloat. SAP Business Objects is a large BI and analytics platform best suited to larger organizations, although SAP has recently make efforts to appeal to medium size businesses (particularly with it’s free Lumira offering). It’s almost certain that Business Objects will achieve whatever your business needs to achieve with BI and analytics, but this is a heavyweight product with a large footprint. In many ways this is perhaps the only real alternative here to IBM Cognos, for businesses needing extensive monitoring and management capability. In any case Business Objects supports all the functionality you might expect – data visualization, mobile BI, dashboards, reporting, data discovery, and so on. A major plus for SAP is the fact that its predictive analytics tools share the same environment as other BI and analytics tools. QlikView is one of a new generation of data visualization and BI platforms aimed at ease-of-use and broad access. Fairly unique to QlikView is the ability to establish relationships between data sources – something that is extremely useful when reports, charts and other visualizations are being produced. It separates out very nicely the infrastructure needs from the end-user need to simply get to the tools and data needed. QlikView Desktop is where most of the setting up takes place (associations between data items, and user interface layouts). QlikView Server is where the processing takes place and security is enforced. QlikView Publisher distributes documents to the server for distribution. It’s a well thought out, and very effective platform for building almost any BI and analytics capability your organization might need. Tableau majors on ease of use and visually appealing representations of data (charts, graphs etc). Tableau Desktop offers good performance (on a suitably configured PC) for large, complex queries, while Tableau Server supports browser based tools to a wide audience. In reality Tableau is primarily a charting and reporting tool and other products may be needed to create a rounded BI environment. However its ease of use features, which have made it so popular, seem to satisfy may users of the product and for everyday needs it may present the simplest (although not cheapest) option.